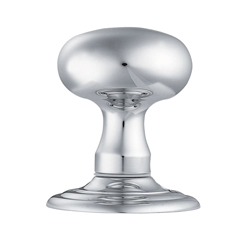 They is a continuing strong demand for good quality door knobs, judging by the number of customers we supply. There are important points of information to be aware when deciding to have door knobs fitted to your doors. It is possible to do this with new and existing doors when handles are removed. The door style has to be wide enough to carry the knob back far enough from the frame. Also you need a lock the suits the door knob, see my web page which will help describe this. www.handlesupplie.ie/doorknobs Suffice to say you need the knobs to be a least four inches back form the leading edge of the door. This is in order to make sure your knuckles are not rapped by catching them on the door frame when entering the room. You can of course replace your present locks with four inch locks and fill the openings left by the old locks with suitable wood fillers and these can then be sanded and painted over. In fact I recently supplied new doors knobs to a customer who kept her existing doors and changed the door locks from standard 2.5 inch vertical locks to four inch vertical locks to accomadate the knobs. Rim locks are still available for installation with door knobs, for those who want a certain old-world look and feel. 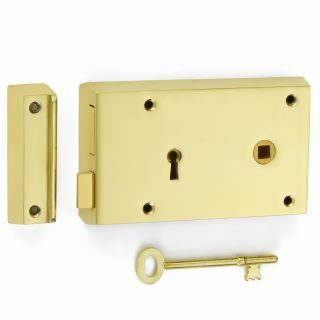 Flat latches and tubular latches can be fitted with knobs also when key locking function is not required. We are happy to advise you on this. Please have a look at the porcelain and chrome door knobs on our we site www.handlesupplies.ie , call us and we will have a door knob and matching locks that will suit you.